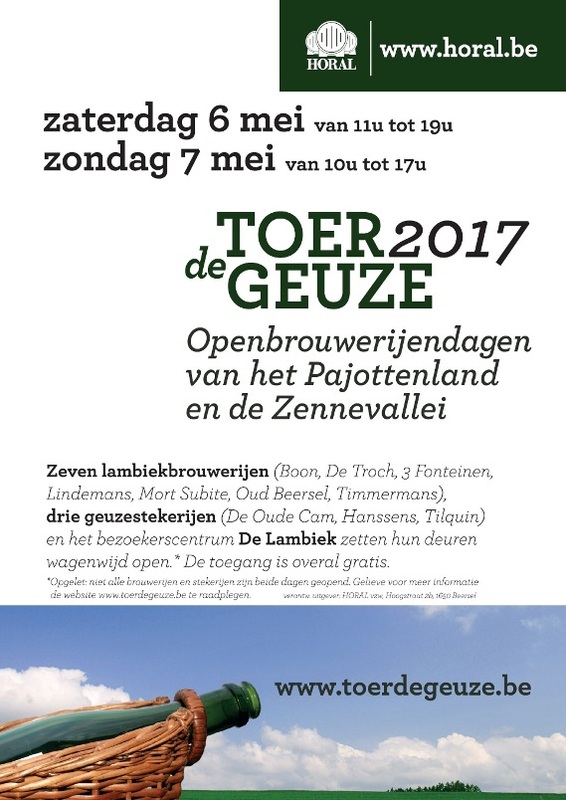 As every two years, the Gueuzerie Tilquin participates to the Toer de Geuze 2017, which will happen this year during two days. During that weekend, the Gueuzerie Tilquin proposes you free guided tours of the blendery and a free glass of lambic for each visitor. – Pinot Noir Tilquin à l’ancienne (Cuvée 10 years Moeder Lambic Original) 7.7% – ! in limited quantity ! Who is hungry, at Tilquin can find pig on the spit prepared by butcher Fisette, or a true craft burger from Chez Roger, or a cheese plate of farm raw milk cheeses from Ferme Le Bailli, or a slice of bread with cottage cheese, or finally eel from Chimay on a slice of bread. For the youngest, there is also a bouncy castle. All Tilquin products will be on sale at the shop. There will be a parking area opposite to the blendery.